Not all POS systems are created equal. In fact, their differences are more than one would expect. Every restaurant owner sooner or later is faced with the task of selecting the most suitable system for their business. This process often takes hours and even days before a final decision is made. 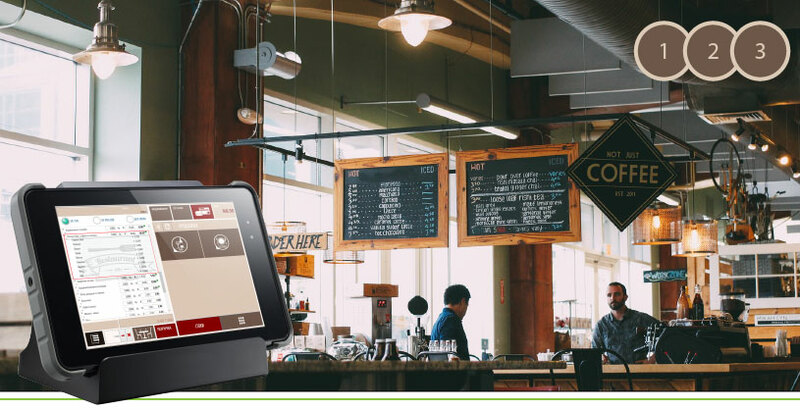 The POS system is in a way the central nervous system of a restaurant, it logs the orders, directs them to the corresponding departments for completion, separates and keeps track of the different payment methods and stores all the valuable information for the establishment. Naturally, the servers are the ones who constantly utilize it and for whom the right system is of the essence. Why not look at things from their perspective? They are well-acquainted with the functionalities which will make their job easier. Below you will find three POS system features which are of the utmost importance to restaurant servers. This is the most important feature as it encompasses all the other functions, which will be described below. The operation of a restaurant is a dynamic and fast-paced process. Time is of the essence. The customer should not be made to wait long, otherwise you may lose them. This is why, your servers demand a software product which is flexible, intuitive and does not cause them to lose valuable time when entering orders. It is key to enter and to pass on the orders quickly. Moreover, they have to contain the customer demands in a clearly outlined manner and to be easy to track. Last but not least, the software platform must be easy to assimilate by your employees, thus not requiring too much time for the training of your staff. Your dining area map visualization i.e. location of tables, their status and the quick access to each software operation are of paramount significance to your staff. For the servers it is essential to be able to easily split a check, to transfer a check to a coworker or to be able to tend to a table belonging to another server. These operations need to happen swiftly and seamlessly as the bulk of the time and attention must be focused on the customers. All in all, the system must aid the activities of your employees without complicating them. This is yet another required functionality so your POS system is up-to-speed. It is also of great significance for your staff. Imagine the following scenario – a customer makes a reservation for a specific table at 8pm, which is not reflected in the POS system, utilized by the front of the house staff. Consequently, an employee sits a party at the reserved table around the time in question. A truly unpleasant situation indeed. Nevertheless, this is part and parcel of running a food and beverage establishment. In reality, such errors can easily be avoided with the selection of the right POS system. The development of modern technology allows for the interconnectedness of systems. Think long-term about the development of your business and respectively about the ability to connect your POS system with various cloud-based service platforms.